Cirsium vulgare. Plants for a Future. www.pfaf.org (Accessed 5/2014). 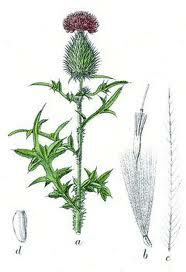 Cirsium is a genus of spiny herbs. Cirsium vulgare (bull thistle) leaves. © 2006 k. chayka. 100_2720. Minnesota Wildflowers. minnesotawildflowers.info (Accessed 1/018). 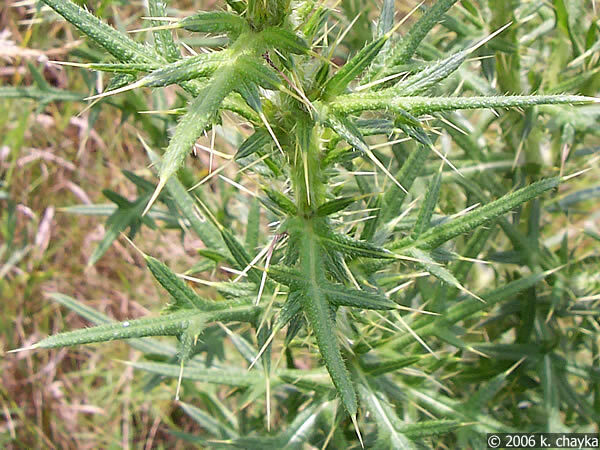 Leaves pinnately lobed to toothed, lobes spine-tipped. 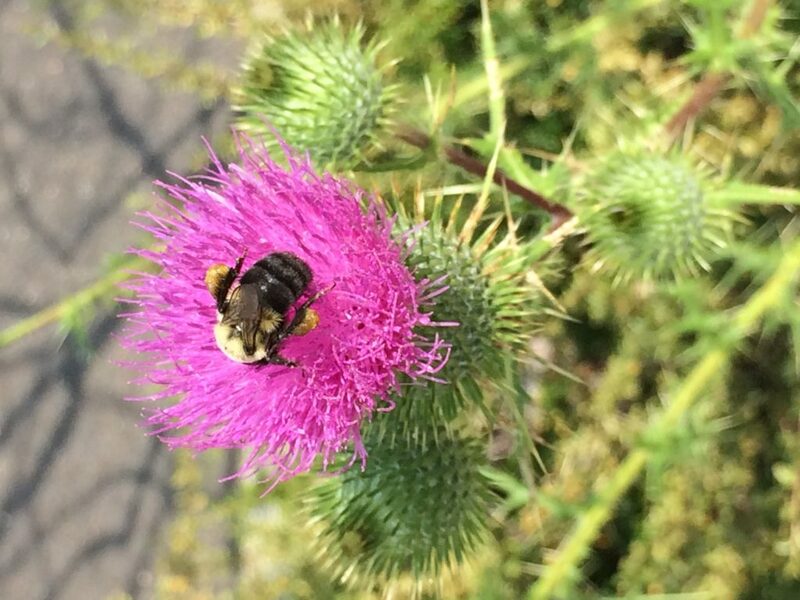 Flowers mostly purple, sometimes yellow or white, all disk flowers, radially symmetrical, tubular, in heads with bract-covered base, bracts mostly spine-tipped, overlapping in several rows, expanded apex of flower stalk (receptacle) bristly. 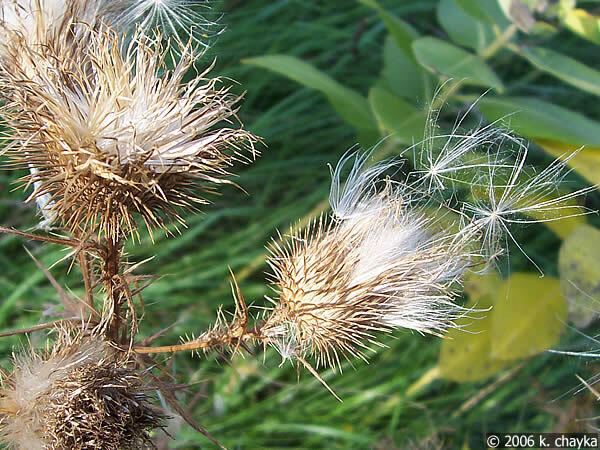 Fruit a dry 1-seeded achene, with bristly plume for wind dispersal.